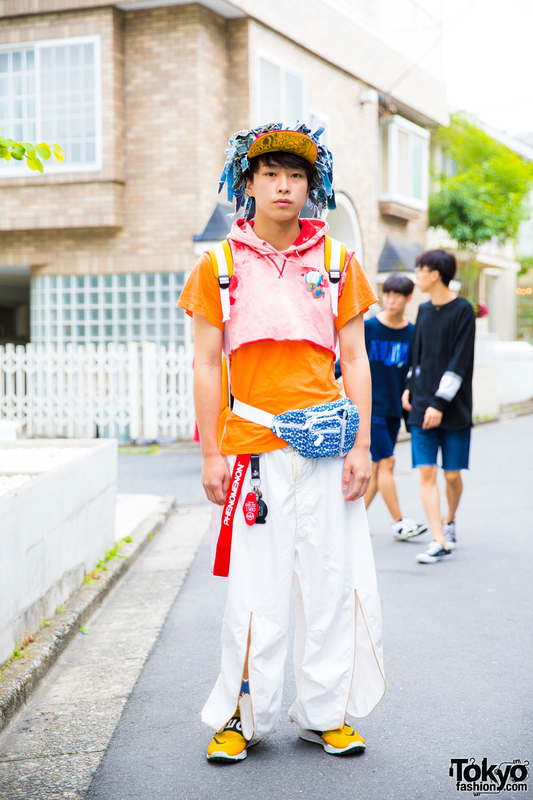 Harajuku student in handmade and distressed denim fashion style w/ cropped sleeveless hoodie over t-shirt, zipper pants, Nike sneakers, cap and accessories. 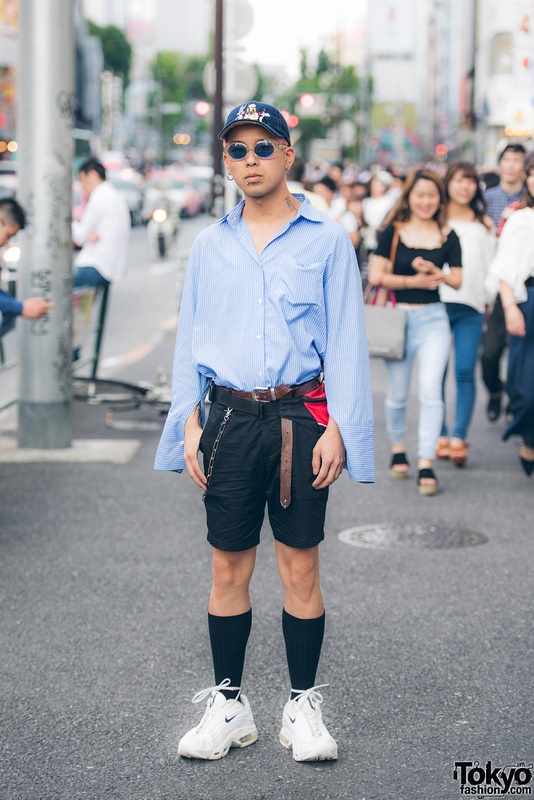 Harajuku shop staff sporting casual wear wearing pinstripe button down shirt, shorts, sneakers, belt bag, denim cap and hoop earrings. 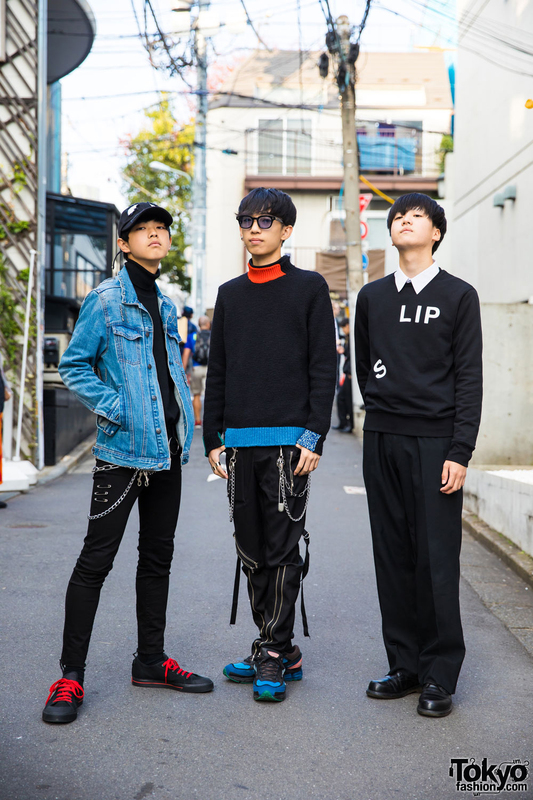 Group of Japanese teens sporting their dark streetwear and sneakers in Harajuku. 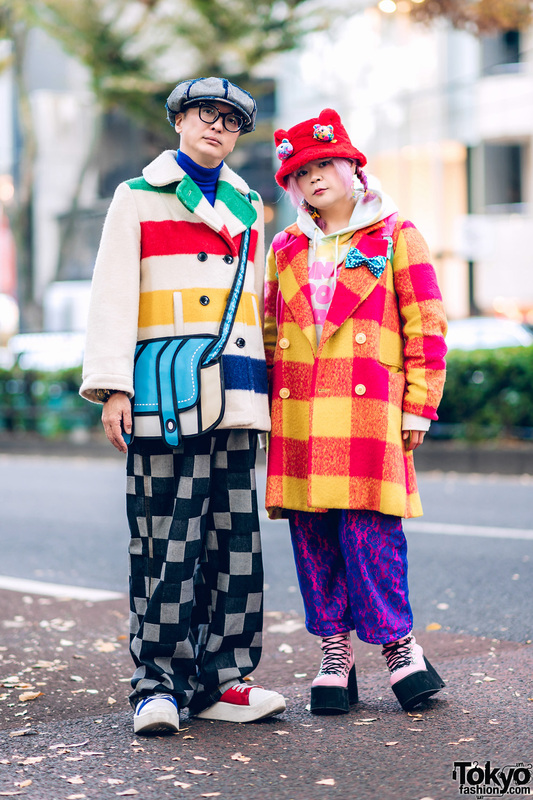 Hatted Harajuku girls with denim bags, a polka dot dress, pleated skirt, high tops and glitter shoes.